During his 30 years in practice, Thomas A. Muccifori has litigated business disputes of all types, ranging from complex matters for Fortune 500 companies to mid- and small-sized businesses and individuals, including a variety of labor and employment issues in both the public and private sectors. Mr. Muccifori is rated AV®Preeminent™ by Martindale-Hubbell; featured on SJ Magazine’s “Top Attorney” List, 2005 to 2016 in Business Litigation; named an “Awesome Attorney” by South Jersey Magazine, 2013 and 2015 to 2017; a New Jersey “Super Lawyer” 2005 to 2009 and 2013-2017; and named among the state’s “Top Legal Minds” by Inside New Jersey Magazine, 2012. In addition, Tom is one of a very few select attorneys in New Jersey with a rare perfect 10/10 AVVO rating. In particular, Tom has gained nationwide experience in drafting, negotiating, counseling and litigating non-compete agreements of all types, on behalf of employers, employees and others. He has successfully litigated and defended a number of such cases in State and Federal Court on behalf of employees and employers seeking injunctive and monetary relief in a wide variety of contexts, including sales, technical employees, and key senior management. He is the founder and Chair of Archer’s Trade Secret Protection and Non-Compete Practice Group. Tom is also Chair of the firm’s Commercial Collections and Consumer Litigation Practice Group, which represents both creditors and debtors in all facets of commercial litigation. Tom has spent his entire professional career with Archer, beginning with summer clerkships in 1984 and 1985, and as an associate attorney from 1986 until 1994, when he became a shareholder. Tom is licensed to practice in New Jersey and the United States District Court, District of New Jersey, United States Court of Appeals for the Third Circuit, and the United States Supreme Court. Many large and small Delaware Valley employers riddled with key employee defections to competitors. Tom successfully litigated a contentious, complex dispute between a New Jersey distributor of graphic art and printing supply materials against an international printing company and its majority owner. Following a fourteen-day non-jury trial, Tom helped the distributor obtain and collect in full a $1,543,761.75 million judgment against the printing company and its owner for breach of contract, reformation and fraud. The $1,543,761.75 judgment entered by the Court was composed of $792,115.68 in compensatory damages, $662,775.00 in punitive damages and $88,871.01 in pre-judgment interest. Business Counsel for a number of companies in the plumbing, lumber, concrete, trailer, transportation and petroleum industries. The Defend Trade Secrets Act—One Year Later, Published May 11, 2017 in the The Legal Intelligencer. “Corner Office: Thomas A. Muccifori, Esq.” South Jersey Biz, Volume 5, Issue 10 (October, 2015). 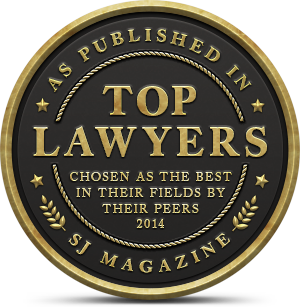 “The 5 Weapons No Litigator Should Be Without“, Law360, February 20, 2015. “6 Things To Leave Out Of That Brief“, Law360, September 11, 2014. “Exploring the Nooks and Crannies of the Inevitable Disclosure Doctrine“, New Jersey Lawyer Magazine, New Jersey State Bar Association, April 2014. By Thomas Muccifori, Esq. and Benjamin Morgan, Esq. “Ask The Lawyer“, Posted in the December 14, 2011 issue of the Moorestown Patch, By: Thomas A. Muccifori, Esq. “New Jersey May Finally Enact Legislation Protecting Trade Secrets” Published in the December 2011 edition of Mercer Business. By: Thomas Muccifori and Benjamin Morgan. “The Nooks and Crannies of ’Inevitable Disclosure’” Published in the New Jersey Law Journal (Reprinted with permission from the December 6, 2010 edition of the New Jersey Law Journal. Copyright 2010 ALM Media Properties, LLC. All rights reserved. Further duplication without permission is prohibited.) By: Thomas A. Muccifori, Esq. “Much Ado About Nothing: Despite predictions, Court declines to overrule Karlin,” Published in the New Jersey Law Journal (Reprinted with permission from the April 18, 2005 New Jersey Law Journal. Copyright 2005 ALM Properties, Inc.). By: Thomas A. Muccifori, Esquire.